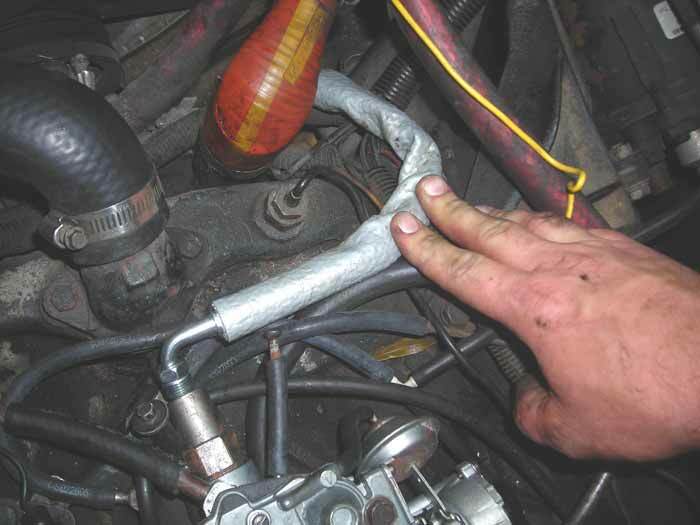 This quality made fuel line reroutes the fuel away from the thermostat housing, it has a pyrosleeve insulation and is made of stainless braided Teflon hose with professional plated steel crimped on and properly clocked fittings. Will work with 455 or 403 motors. Thread on loose the 45 deg. 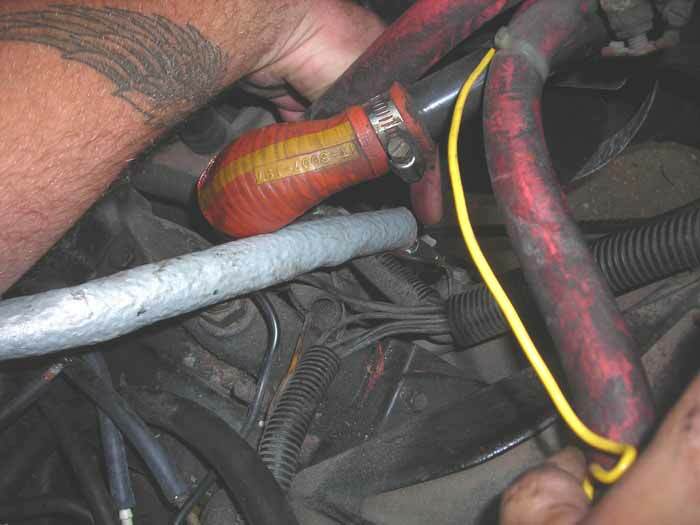 fitting to the top of the mechanical fuel pump letting the hose point forward. Then rotate the fitting on the mechanical fuel pump 180 deg. to the left while bringing the hose up the front of the block and back around to the carb inlet . Thread the fitting into the carb loose go down and tighten the hose onto the carb then come up to the carb and tighten that fitting. 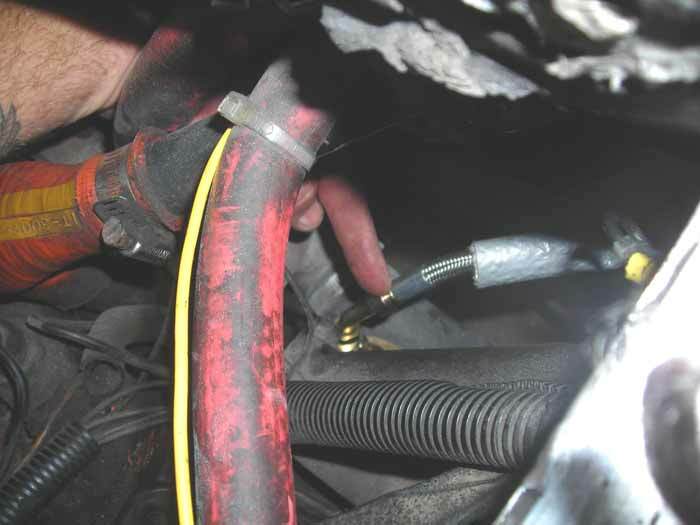 Fire up your motor and carefully check for fuel leaks.